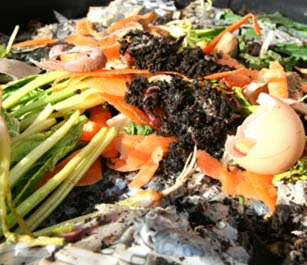 Worm composting is a simple, natural method for converting fruit and vegetable scraps from your yard and kitchen into rich nutrients. All you need is a container filled with moistened bedding, worms and food scraps. The worms, with help from micro-organisms, convert the bedding and food waste into compost within a few weeks. Worm composting is so simple that it can be done virtually anywhere: schools, offices, kitchens, or homes. The resulting compost is an excellent soil amendment that can be used to make potting soil for house plants or as a fertilizer for your garden. Worm compost is also a rich source of nitrogen, making it an excellent organic fertilizer. Finally, worm tea (liquid that is produced during the composting process) is an excellent organic fertilizer and contains many essential minerals and nutrients that plants need in order to grow. Here is a Fact Sheet. 1. 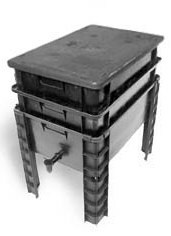 Use a plastic box with a tight-fitting lid with plenty of air vents or purchase a worm compost bin. 2. 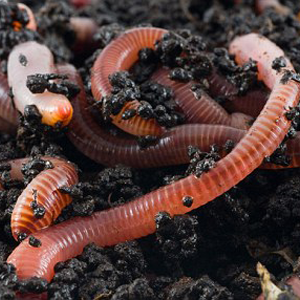 Add bedding (coconut coir or shredded newspaper) and then add ½ - 1 pound of red worms. 3. Keep the worm bin warm, but not hot, and keep it out of direct sunlight. 4. Keep bedding moist, but not wet. 5. Use crushed egg shells or ground limestone to keep the pH neutral (around 7.0). 6. Feed one end of the bin for two weeks, then harvest your worm compost from the other end.